Card-making-magic, Issue #077 - Spring at Last !! Well here we are and next week it's May Bank Holiday already. I have been really busy and so my apologies for not sending out the newsletter sooner. A lot of my time is being taken with keeping you up to date with the fabulous free gifts that are given away each month with the magazines. You can get your favorite one from selected supermarkets and craft shops and WHSmiths if you are in the UK. They are also available at Moremags and you can also take out a subscription there if you prefer. There have been some amazing quality gifts in the past and it is a really good way for you to extend your crafting stash. Many of you have let me know that you are enjoying these videos and you then go out to find the one that you want. This was made with the gift from Simply Cards and Papercraft Issue 162 - Build a Bouquet and I used Brusho Crystal Colours to add the vibrancy. I have lots of new videos that are added to my YouTube channel on a regular basis. They are step by step videos to show you how I made my card. I add the links to the products used and they are also on the blog too. YouTube Channel for you to check them out. 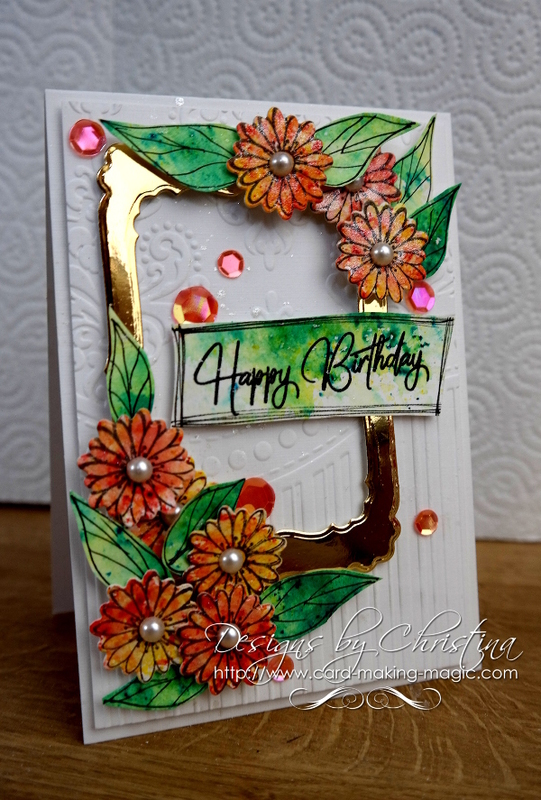 So just a little about the Card Making Gallery Thank you for adding your projects to the Gallery pages but you need to add some information too when you add photos. If they are just a one line descriptions I am sorry but I cannot accept them. You don't need to write an essay but some basic details would help. Size of the finished card, materials used and any dies that you have used too. YouTube followers continue to rise and I really appreciate all the comments. I know have over 45,424 followers who have looked at my videos 8,504,381 times. Amazing stuff this YouTube ! !